It doesn’t have the cachet of Astoria and it lacks the gritty appeal of the LIC arts scene, but for my buck, I couldn’t pick a better place in Queens than Rego Park. Other residents (and real estate agents) highlight its proximity to Forest Hills (the fillet of Queens! ), the easy commute to Manhattan (30 minutes door to door! ), and the low crime rate (a 40% drop in robberies in the past year!). But for me? It’s the humble character of the neighborhood and the kaleidoscope of culture shifting and glittering on 63rd Drive, on Queens Boulevard, along Yellowstone and Woodhaven. The gym I go to is locally owned, rather than an outpost of the overpriced Bally’s or New York Sports Club (also, its employees are always quick with a friendly greeting, initially winning me over by exclaiming, “Is named Platinum — better than Gold!”). 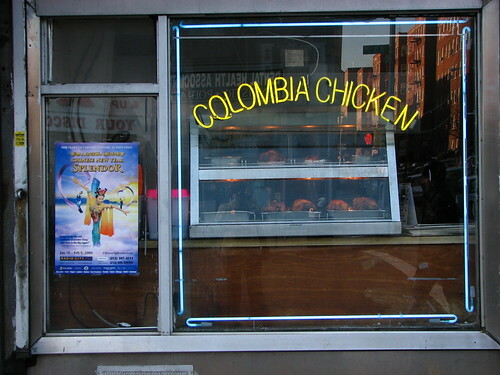 Within a 15-minute walk from my apartment, I can buy Colombian chicken, find Thums-Up cola, get supplies to celebrate Chinese New Year, hum along to old Bollywood tunes at a Subway franchised by a chipper young fellow from Indonesia, delight in a knish, or procure a neon menora. And on balmy summer days, or even into crisp fall evenings, there’s a certain corner on which a group of five or six old men invariably play backgammon, kids occasionally peering over their shoulders to help them strategize. It’s a cool, refreshingly authentic place to live when it seems everyone is urging us to consider Williamsburg or Park Slope, both dripping with irony and artifice and endless posturing about who has the best what. Sure, sometimes it means I miss a hip indie concert, and there’s not much of a nightlife (other than Wiggles! ), but at least I don’t have to fight for groceries amongst a million tiny men wearing black eyeliner, flannels, and ever-tighter jeans.